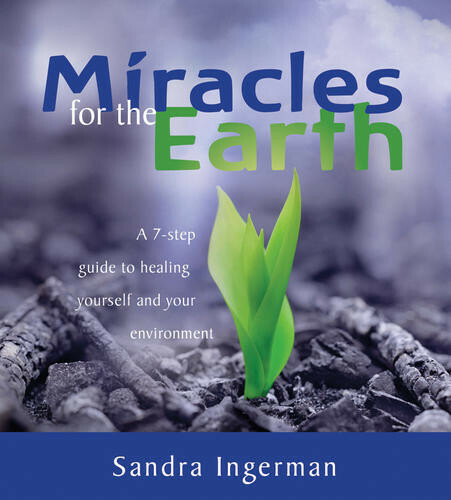 A 7-step program in shamanic “shape-shifting” that creates measurable healing results. I'm pretty disappointed by this product. The #1 thing you need to know is that you do NOT get a "7-step program in shamanic “shape-shifting” that creates measurable healing results." While the author briefly talks about 7 aspects of "transmutation" she is not giving you a step-by-step instruction for shape shifting, or healing, or a step-by-step for anything. The first CD or mp3 is a long-winded talk about using spiritual methods to change contaminated water's ph value. This is what the marketing of the product calls "measurable healing results." In this talk she mixes dozens of religious, spiritual, scientific and non-scientific quotes, facts, myths, stories - all mixed together in a crude mashup. Most of those examples don't make it beyond a simple mention, and everything looks very random. On the second CD or set of mp3s, she talks about several spiritual practices. The talk is not well structured, and again all feels random and unrelated, including the choice of practices. Finally, in the short guided meditations she moves on so quickly that I don't even find a second or two to create the imaginary experiences she describes (and I'm not a beginner). If i indeed got everything, after many many tries (and i download form here often), then this is nice but rather disappointing. Alot of buildup then it is suddenly over.